Spacing out because i have no energy to do anything else! I am finally having some time in my life again this week & it’s weird… like… what did i used to do? did i really just sit around and watch that much more netflix? that doesn’t sound right. maybe i spent more time volunteering with PlantDiego? going out with friends? dating?! i don’t even know but i know i’m excited to find out when this race is over!! taper week is a weird one. you are SO pumped to have shorter training sessions. but you feel SO lazy and unprepared. like… can i really just run 3 miles and expect to be ready to run a marathon on sunday??? really?! GAH!! i definitely feel more prepared for this race than any race i have ever done, which seems insane because, well, this race is insane. but i think it’s because it’s so scary that i was able to actually get most of the training in. I say most because each week i’d shoot for completing 50% of my training plan and aside from the week i was sick i hit it. 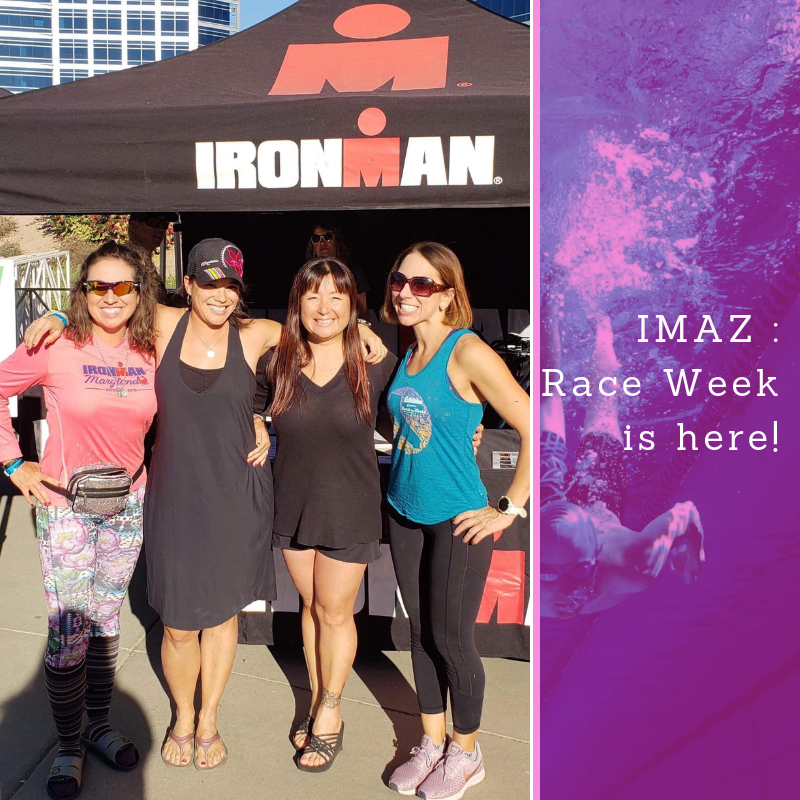 i didn’t do anywhere near 100% of the sessions and in the ones i did complete i didn’t complete them 100% but i do know that i can for sure swim 2.4 miles, i can for sure bike 112 miles, and i can for sure run 26.2 miles. before this training i could NOT have said that. can i string them all together in under 17 hours? i have no idea. but i won’t know until i try!! this whole training experience has been a lot of ups and downs… deepening existing friendships and making new friends. learning to truly love running again (i give a LOT of credit for that to Taryn Spates’ book 35 by 35: A Runner’s Quest). finding out i really can go months with barely a drink. realizing friday night sunset swims are one of my favorite ways to end a week. waking up at dark o’clock for weeks and months on end. many cancelled plans. declined invitations. birthdays that went by with barely a celebration (for real how did all our birthdays fall in prime training blocks?!). hundreds of dollars of chiropractic care and massage therapy and acupuncture (and of course the physical therapy leading up to my big training sessions). hours lost on the couch spaced out watching netflix because i was just too exhausted to do anything else. i wouldn’t trade it for anything. The journey has been incredible and i can’t even believe race week is here.